Don't wait for a discerning buyer to find faults in a listed property. The EPA website (http://www.epa.gov/) has tons of useful information on possible hazards in a home, and you should at least check the following conditions as part of the listing process. Asbestos - Asbestos may not be easily identified, so consult with a professional if you are unsure about a material in a home. The Environmental Protection Agency says that "Usually the best thing is to LEAVE asbestos material that is in good condition ALONE." If buyers have concerns, refer them to www.epa.gov/asbestos for current information on asbestos risks. Lead-Based Paint - If a home was built before 1978, there's a chance that lead-based paint was used. If the paint is peeling, that is not the only danger to be concerned about. Lead-contaminated dust and soil can also pose serious health risks to children and pregnant women if inhaled or ingested. Make certain the buyer knows if there is lead-based paint in the home, and remind them that removal of lead-based paint, if done incorrectly, can result in lead-contaminated dust being released into the air. Visit www.epa.gov/lead for more information. Smoke Alarms - Know your state's smoke alarm laws by heart! 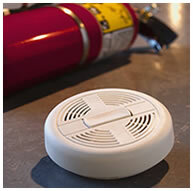 Some states require one smoke alarm in each bedroom, plus a detector on each floor. Make sure your sellers' home complies - the last thing you want is a delay in a purchase for something as simple as smoke alarms! Be sure to do your homework as there may be risks specific to the region where you live, such as California's earthquakes or Florida's hurricanes, that mean regional laws to follow. 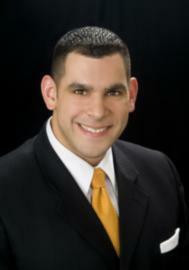 Call me when you have a client who needs special assistance in obtaining their next mortgage. Craigslist - how to post more pictures & make it more effective! !